The suspect in a shooting that killed a boy and injured his mother and her other son -- in addition to a man -- is in the Adams County Jail and facing first-degree murder charges. The Westminster Police Department has identified the 23-year-old man taken into custody and facing murder charges in connection to the shooting in Westminster Thursday that killed a boy and injured three other people. Jeremy Webster faces charges for first-degree murder, first-degree murder with extreme indifference, first-degree assault and criminal attempt to commit a class one felony. In a news release, Westminster police said investigators believe Webster did not know the victims and it "appears the incident stemmed from a road rage." Webster is registered to vote at an address in Colorado Springs, 9NEWS has learned. The shooting occurred at around 3 p.m. near 80th Avenue and Sheridan Boulevard in Westminster. The suspect was pulled over and arrested two hours later near Interstate 25 and Meadows Parkway in Castle Rock. A boy succumbed to his injuries after the shooting, according to Westminster police spokesperson Cheri Spottke. The boy's mother and her other son suffered life-threatening injuries and are in critical condition. A man who was also shot is expected to survive, Spottke said. That man did not know the mother or her children. The Westminster Police Department said they are not releasing the identity of the victims at this time. 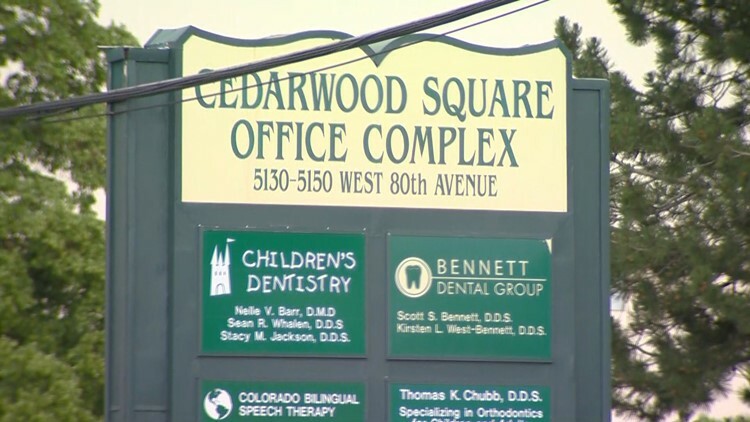 After the shooting, police tape covered the Cedarwood Square Office Complex for hours. James Sisneros’ daughter, Ariel, was inside a nearby dentist office when the shooting happened. He waited, nervously, for information from police. When he first arrived, SIsneros said he saw one of the shooting victims outside the dentist office, bleeding. Eventually, Sisneros’ daughter was allowed to leave the area and join him outside the perimeter of the crime scene. “I’ve been trapped in there for about an hour, hour and a half,” said Ariel Sisneros. She did not see the shooting, but said police came inside the dentist office to interview witnesses. Almost two hours after the shooting, law enforcement put out the description of a vehicle that may have been connected to the case and asked the public to be on the lookout for it. 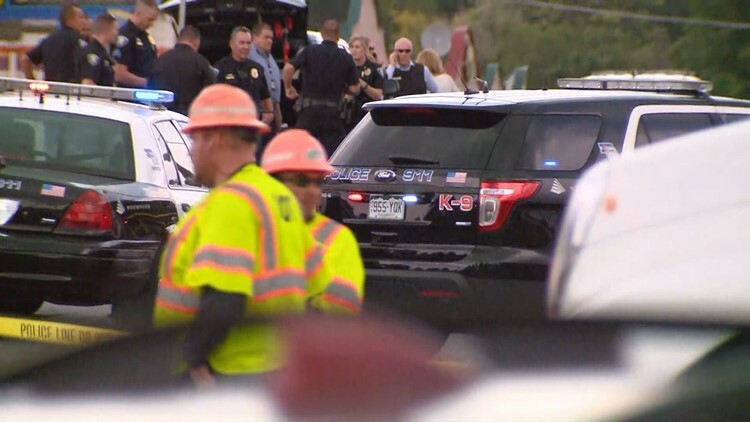 Colorado State Patrol trooper Gary Cutler told 9NEWS a Colorado Parks and Wildlife officer spotted the suspect vehicle - a black 2010 Toyota Corolla headed south on Interstate 25 at 5:33 p.m. near Arapahoe Road. Troopers were then called in but quickly lost sight of the vehicle. Cutler said troopers then spotted the vehicle against headed south on I-25 near Meadows Parkway. Troopers surrounded the vehicle and were able to stop the driver 15 minutes after the CPW officer first called. Sources tell 9Wants to Know that two adults and two kids were the victims -- they were transported to a hospital with gunshot wounds. 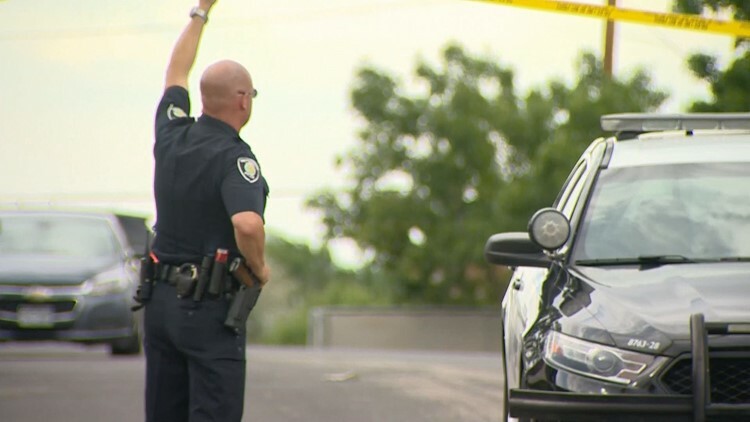 9NEWS reporter Katie Eastman spoke with the owner of a car shop near the dental office who said he heard seven or eight “deliberate” gunshots and watched as a man ran down the sidewalk of Sheridan. Video from Sky9 showed about a dozen or more patrol cars parked around the business complex, which is surrounded by police tape. Officers were seen walking around the property tagging evidence. Erin Powell and Caitlin Hendee contributed to this report.